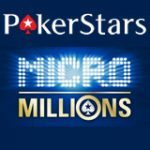 PokerStars are celebrating their 10th birthday in style with loads of promotions where players can win extra cash and prizes, with new promotions added every week. Start playing poker online at the World's largest poker room and get a 100% deposit bonus up to a maximum of $600. 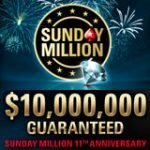 So far players can participate in the PokerStars 10th Anniversary Festival which includes more than 100 prizes packages to the 2012 PokerStars Caribbean Adventure and the biggest guaranteed PokerStars Sunday Million tournament ever with a $10 million guaranteed prize pool. The PokerStars Guinness World Record Poker tournament is also scheduled to take place on the 4th of December and players can buy-in for only $1 and win their share of a $250,000 guaranteed prize pool. 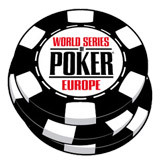 Help PokerStars break their own world record and be part of poker history. 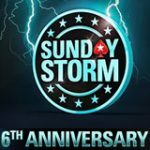 There is also a PokerStars reload bonus code to celebrate 10 years of online poker players can qualify for the easiest pokerstars reload bonus ever, simply make a deposit and get a 10% up to $10, for more information click the link in this paragraph which also includes details of the special edition of the Pokerstars Sunday Storm which features a low buy-in of $11 and a guaranteed million dollar prize pool. PokerStars have added 10 freeroll tournaments which are all scheduled to take place on 10th December, each freeroll has a $10,000 prize pool plus a 2012 PokerStars Caribbean Adventure prize package worth more than $15k for the winner. Players can register for one of these events for only 1 VIP point. Players must register for the event with the title of the year they signed up for their account eg: if you registered in 2005 you can play the freeroll at 13:12 ET. 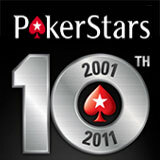 Up for a PokerStars quiz ? brush up your PokerStars history and win your share of $100,000 in prize pools in the 100 PokerStars Trivia Tourneys running from the 1-18 December. Each tournament will have a trivial question which players must figure out and use as a password to register for the event. All answers will be in year format, figure out the answers and register for these events for only $0.10. 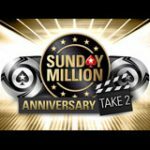 PokerStars have added a million dollar rake race for cash game players, win your share of the added prizes by ranking in the leaderboard. There are four separate leaderboards for players at different stake levels, player can also play any poker games including: Hold’em, Omaha or Stud. 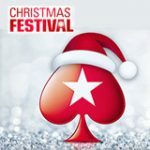 Each leaderboard runs for 24 hours with $50,000 in prizes to be won daily for 10 days from the 23 November - 2 December 2011. 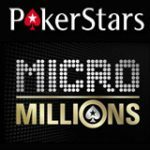 All players who rank in the top 1000 places on each leaderbo0ard will also qualify for a free tournament ticket to a PokerStars freeroll which features a $500,000 prize pool on 11 December. 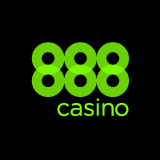 Freeroll tickets are awarded within 48 hours of qualifying, they must be used to enter this event or they will expire.